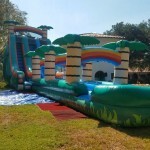 Tropical 23′ Double Lane Water Slide with slip n slide 60 feet long! 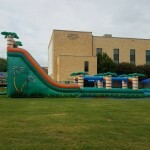 Jump City’s Tropical 23′ Double Lane Water Slide with slip n slide 60 feet long! 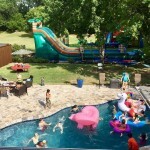 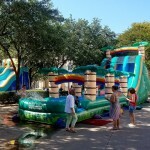 Inflatable Water Slide when kids want to enjoy a classic!